We woke up this morning to some very sad news. A beloved man, friend, father of a close friend, and Belizean pioneer has passed. Mr. Ramon Nunez was loved by so many in life and will now be remembered by so many. We had wonderful fun times with him, and his family are dear to our hearts. We also know that his loss will hit the Ramon's Village team very hard and our hearts go out to them all. Our deepest condolences to the whole Nunez family, the San Pedro Community and everyone lucky enough to have known and loved Mr. Ramon Nunez. Thinking about my formative years spent at Ramon's Village, and how much I loved seeing Mr. Ramon Nunez with his staff (my mother and aunt included). He always had a hug for his 'girls', a smile and a twinkle for the kids. I was allowed to join my mother on all her housekeeping duties - running from room to room, and the days when Don Ramon would sit and have lunch with the back-of-the-house staff were some of the best. I hope you've bumped into my mother Don Ramon, and I imagine you gave her a big squeeze - the kind she adored...rest in peace Señor. That little girl of 6-7-8-9-10 is grateful for your pioneering spirit that allowed me to have a most unique childhood on La Isla Bonita. To your family - I hope you find comfort in the coming days. I can't lie and say it's easy, but it does get better with time. 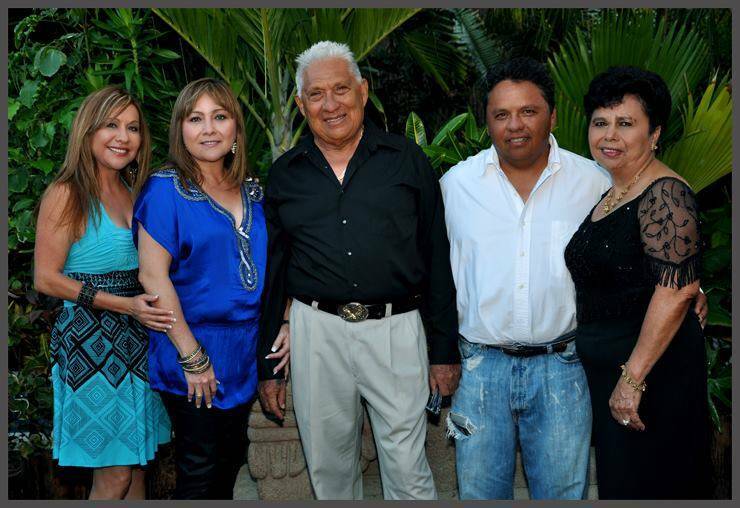 Mayor Daniel Guerrero, the San Pedro Town Council and Staff would like to extend its deepest sympathies to the Nuñez family and friends on the passing of Mr. Ramon Nuñez. San Pedro has lost another of its great pioneers. May his soul rest in peace. This is the saddest news..... We are so sorry to hear this.... Ramon played a big part of our lives when our children were young and we were learning to maneuver our way through the immigration and real estate processes. We considered him family, as with Ramon Jr. and the rest of the Nunez Dynasty. This sadness will be felt throughout the community and our hearts will be heavy. So sorry to see you go Ramon, thank you for everything you have done for us! The Ramon’s Village Family Celebrates the Homegoing of Belize’s Greatest Legend Ramon Núñez. 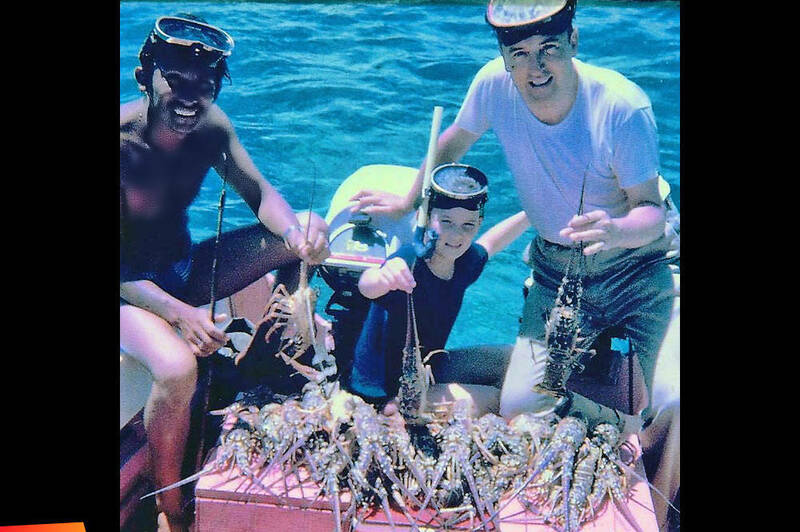 He first became a lobster fisherman because of his love of skin diving and under the legendary Gerry McDermott, he learned scuba diving only to become a dive master and ran operations of one of the first five shops on the island. 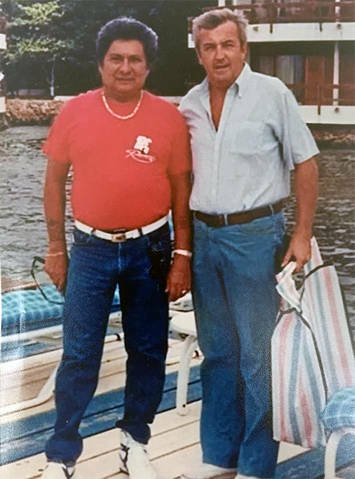 Because of his great personality, Ramon became world known and tourists kept returning to Belize looking for Ramon and San Pedro. Eventually and inevitably he became the iconic manager of Paradise Hotel; from there Ramon's fame and circle of friends and acquaintances only grew. He managed one or two other resorts until he was recruited to springboard a new resort named after him, Ramon's Village. Ramon has contributed immensely to the growth of the tourism industry, investing time and efforts as well as goodwill in hospitality, restaurants, gift shops, diving tours and instruction certification. As a Lions Club member he was the main fundraiser and instrumental in getting the San Pedro Poly Clinic off the ground. The island community of Ambergris Caye is mourning the loss of tourism pioneer and island icon, Ramon Nuñez Sr. on Thursday, June 28, 2018. 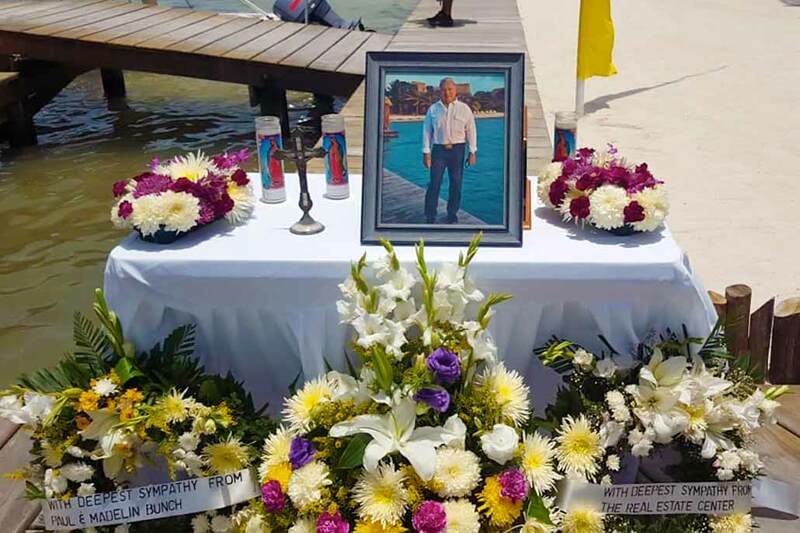 On Monday, July 2nd, after memorial services at Ramon’s Village Resort, his ashes were spread at sea in front of his beloved Ramon’s Village Resort, as per his request. 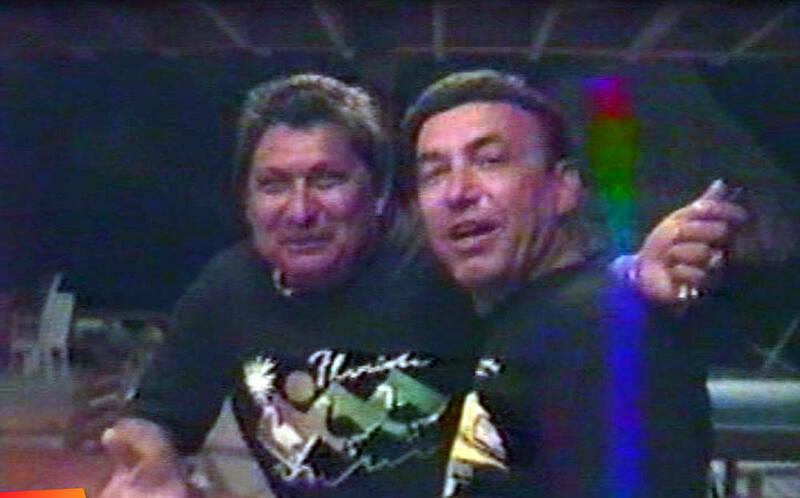 Nuñez was born on June 12, 1940, on a sailboat off the coast of Belize. His father put his mother on the sailboat to get help with the delivery but ended up delivering the baby at sea. Nuñez was the last of 14 boys and a younger sister. He was a bright student and excelled in primary school, however, due to financial difficulties he could not attend college. Thereafter, he joined his father on the fishing boats and became a fisherman at the young age of 14. Years later, he suffered an accident out at sea after getting stung by an Eagle Stingray, which left him badly ill for quite some time. The year was 1969 and it was during this time that someone knocked on his door. Nuñez described this person as an ‘an angel,’ sent to help his family while in dire need. This was the legendary Gerry McDermott, who was building a resort named the Paradise Hotel. McDermott offered Nuñez a job, which he quickly accepted. At that time, the hotel only consisted of three cabañas. 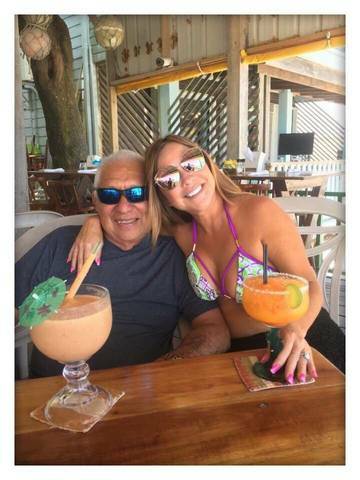 Under McDermott, Nuñez learned scuba diving and ran the operations of one of the first five shops on the island. 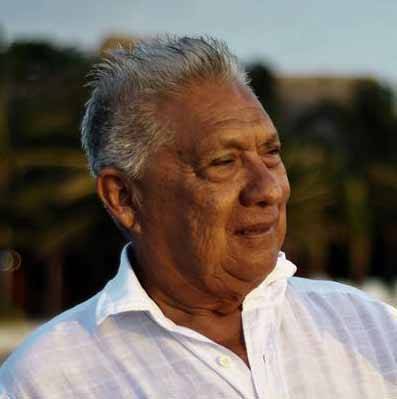 In 1972, the Government of Belize asked Nuñez, the only certified native diver in the country at the time to guide Jacques Cousteau during his visit to the country. 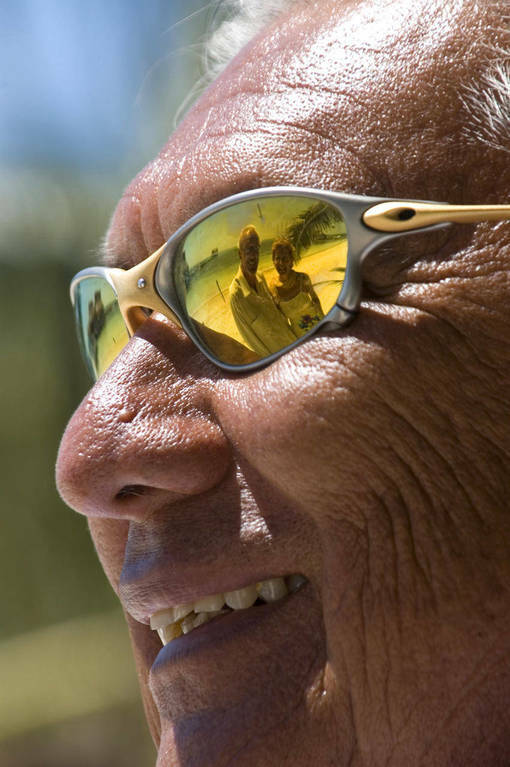 He guided Cousteau to the Blue Hole, as well as the cavern under Caye Caulker. While aboard the Cousteau’s Calypso boat he also spent time with singer John Denver. He describes this episode as an experience of a lifetime. Eight years later, he made the decision to leave the Paradise Hotel, as he felt ready to do his own thing. 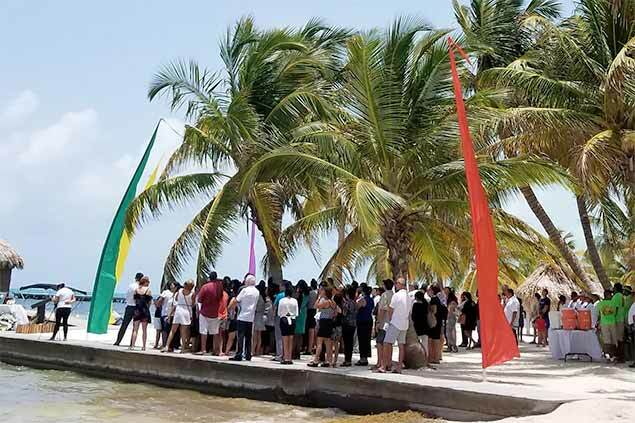 A group of investors from Mississippi USA invited him to open Ramon’s Reef Resort. The projected first started with 10 cabañas and eventually expanded to 20 structures. After operating his Reef Resort for a couple years he sold it to current owners Richard Headrick in 1987. The name was changed to Ramon’s Village and the size of the resort was expanded to include a total of 72 units. Under the Nuñez’ watch, the resort became one of the premier resorts in the country with a level of quality and an unbeatable staff when it comes to client pampering. Ramon’s is currently the headquarters for PADI in Belize, catering to divers and has some of the best certified instructors in the country. Nuñez was considered a true lover of the sea and his island, his customer service and personality deemed impeccable. Friends like Lance Chancellor mourn the loss of someone they admired greatly. 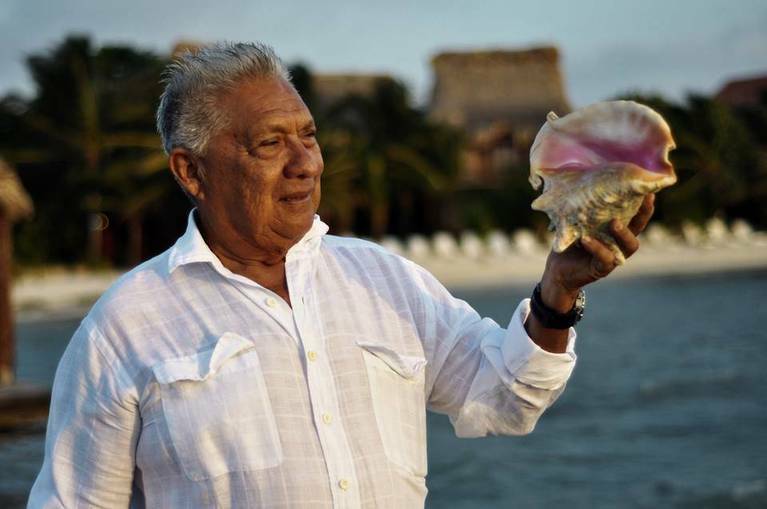 He described Nuñez as a great storyteller, his tales of Ambergris Caye captivating visitors for hours. “He had a special charm that instantly drew you to him,” said Chancellor. “With a twinkle in his eye, he would tell you all about the beginnings of the then-named Ramon’s Reef Resort, how the sleepy fishing village of San Pedro came to be, and how the resort came to be the premier world-renowned island resort.” Chancellor says that Nuñez was larger than life itself and that anyone that had contact with him would instantly feel a connection to him. 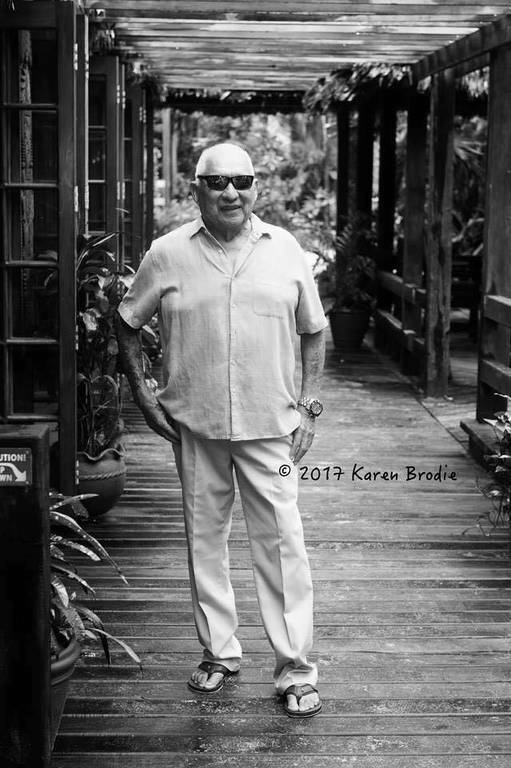 It is with great sorrow and heavy hearts that we announce the passing of Mr Ramon Nunez, founder and legendary host, of Ramon’s Village Resort. However, it is with great joy that we celebrate the incredible life of such a wonderful person! Born and raised in San Pedro, Ramon began his career as a fisherman and later became the first certified scuba diver in the country of Belize. Ramon went on to bring about the development of Ramon’s Reef Resort, later to be known as Ramon’s Village, in 1981. Ramon was loved by everyone who knew him. He was guide to Jacque Cousteau when he explored the Belize Blue Hole and host to Jimmy Buffet who mentions him in his book Margaritaville. 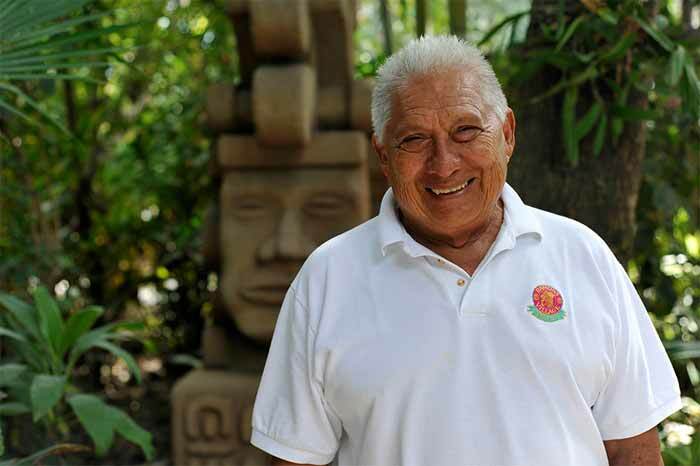 He was awarded the Lifetime Achievement Award in Tourism by the Belize Tourist Board in 2000. He was inducted into the Legends of Diving Hall of Fame and presented with the Giant Stride Scuba Award in 2009. Please join us in praying for his family. He will be greatly missed, but forever in our hearts!